The new chapter book series, Enchanted Sisters, targets newly independent readers—girls ages seven through nine—and tells the stories of the four sisters – the Sparkles: Autumn, Winter, Spring and Summer who come together every three months to join their Mother Nature in a ceremony that changes the seasons in our world. Their world is magically different from our own, yet the Sparkles are completely relatable. They are confidently themselves, even when that’s the hardest thing to be. Continuing the longstanding Jim Henson Company tradition, the message in these stories about strong girls making bold choices are clear: embrace and celebrate our differences; anyone can be a hero; and families come in lots of different packages. The books are co-authored by Elise Allen, author of the book Anna’s Icy Adventure (Disney Frozen), and Halle Stanford, eight time Emmy-nominated children's television producer and senior vice president of children's entertainment at The Jim Henson Company. Paige Pooler, whose artwork can be seen in American Girl magazine, and the Liberty Porter, Trading Faces, and My Sister is a Vampire middle grade book series, is the illustrator. 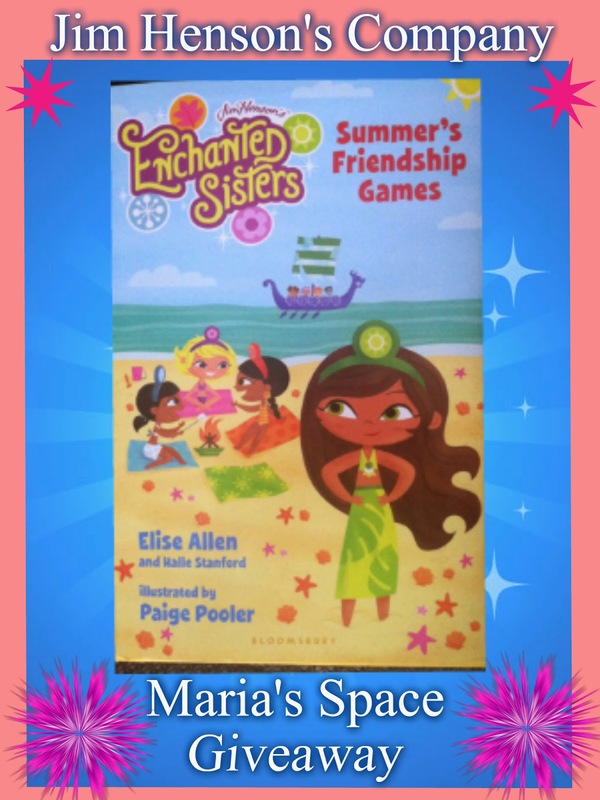 In Enchanted Sisters: Summer’s Friendship Games, Summer has always secretly enjoyed hanging out with Thunderbolt, one of the mischievous Weeds who bring disaster and mayhem everywhere they go. Sure, the Weeds have acted poorly in the past, but they can't be all bad . . . right? Summer's sisters couldn't disagree with her more-especially after the boys ruin Summer's bonfire party. When the two teams of magical siblings try to settle their disagreements in a series of competitive sports, Summer and Thunderbolt are forced to stop talking. But is winning and siding with their siblings really worth ruining their friendship? Hardback SRP: $15.99; Paperback SRP: $5.99. We had a chance to read Enchanted Sisters: Summer's Friendship Games and my reluctant reader who insisted she was not interested in reading them with me quickly simmered down and listened and finally read too. I have even spotted her re-reading on her own. She loves looking at the back cover which talks about each sister and what they are into. These are perfect first chapter books. The chapters are short and there are even pictures. Reluctant readers seem to love pictures and knowing that when you say a chapter they will be done in a page or two. It makes the reading process easier for them. I handed this off to a 10 year old reader friend of mine who absolutely loved this book. She liked the same things my daughter liked about them. The names, the competitions, the friendship and the fact that when it comes down to it even those we aren't always in agreement with can find a common ground and be friends. 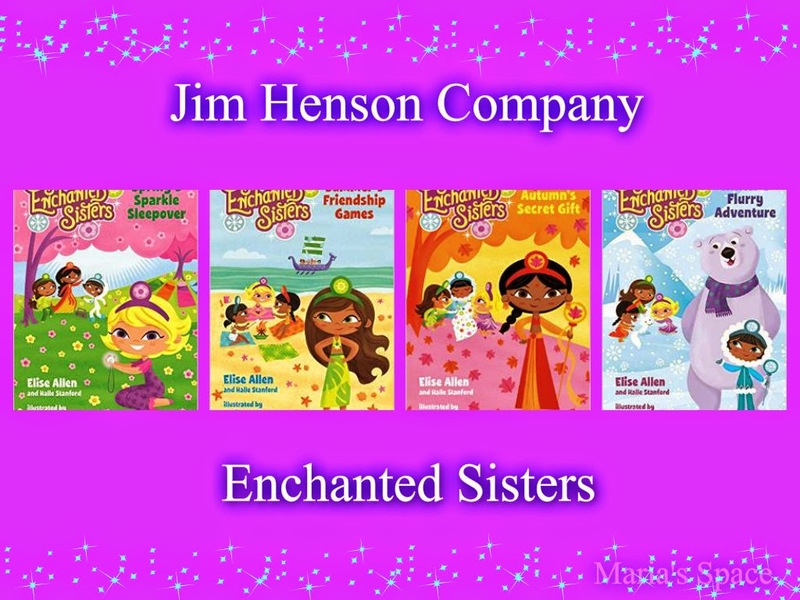 Three additional Enchanted Sisters books in the series are available: Autumn’s Secret Gift, Winter's Flurry Adventure and Spring's Sparkle Sleepover. Doozers, inspired by the wildly popular characters from the classic Henson series Fraggle Rock, is a modern series for modern families that encourages kids to design, create and innovate. The Doozer kids bounce from one fabulous adventure to the next, engaging in exciting challenges that require them to imagine, invent and build, all while they have a blast playing and learning together. Watch Doozers exclusively on Hulu Kids! Get Caught Reading Month has been supported in the past by such well-known figures as former First Lady Laura Bush, Drew Carey, Clifford the Big Red Dog, Donald Duck, Patty Duke, Whoopi Goldberg, Billy Graham, Derek Jeter, Vernon Jordan, Jake Lloyd, Rosie O'Donnell, Dolly Parton, The Rugrats, Jane Seymour, Sammy Sosa, Spider Man, Erik Weihenmayer, and Robin Williams, all of whom have been "caught reading" their favorite books and magazines for print ads and posters seen by millions of people across the country. In addition, more than 200 Members of Congress have been photographed "caught reading" on Capitol Hill. Help others to “Get Caught Reading” too with a local book drive! According to United We Serve, a nationwide service initiative that helps meet growing social needs resulting from the economic downturn, 80% of preschool and after-school programs serving low-income populations have no age-appropriate books for their children. A recent study shows that while in middle-income neighborhoods the ratio of age-appropriate books per child is 13 to 1, in low-income neighborhoods the ratio is 1 for every 300 children. A great way to improve the reading achievement of low-income children is to increase their access to print. Communities ranking high in achievement tests have several factors in common: an abundance of books in public libraries, easy access to books in the community at large and a large number of textbooks per student. Anyone can get together to help increase reading achievement and literacy by organizing a book drive. This tool kit (http://www.serve.gov/toolkits/book-drive/index.asp <http://www.serve.gov/toolkits/book-drive/index.asp ) provides the basics to run a book drive, organize your group, and make an impact. Consider libraries, non-profit children’s organizations for homeless, foster children and struggling families, Goodwill and Children’s Hospital’s thrift stores, and after-school programs. Call the charity or organization and see if they accept used children’s books and what their guidelines are. Go through your books and make sure all pages are present, readable and stain-free. The kids and I do this every year. We end up donating the the preschools, elementary & middle school in our town. We love walking in with a bag or box of books. The kids are happy to help others and I am proud to know that no book leaves this house without them having read it. That is my rule. As part of the Get Caught Reading campaign, two NEW posters are available from the AAP beginning May 11—Enchanted Sisters and Doozers—featuring adorable characters that are “caught reading” in these fabulous FREE posters made available to teachers and parents for use in classrooms, libraries and other locations. I also like the Clifford the Big Red Dog Get Caught Reading Poster. Not sure what the real question is (puna products? ), but I like the Charlie Brown poster! I like the Charlie Brown and Veggie Tales posters. I like Dinosaur Train poster. I like the Enchanted Sisters poster.